With a growing body of research showing that Emotional Intelligence is one of the key indicators of success, smart hiring managers know that choosing employees based on their EQ makes sense. What they don't know is the best way to do it. 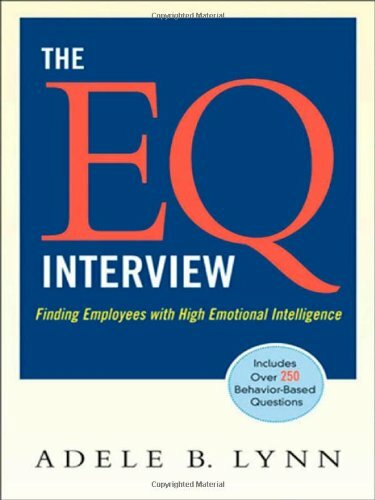 The EQ Interview gives readers the skills and understanding they need to assess candidates' emotional intelligence and ensure that they're the right fit for the job. This practical guide explains the five areas of emotional intelligence, and how these competencies enhance job performance. The book then arms interviewers with more than 250 behavior-based questions specially formulated to help determine how applicants have used their EQ in past experiences. Readers will learn how they can analyze and interpret answers to predict future success, and even spot "EQ frauds" to avoid costly hiring mistakes. Filled with insightful examples, this is the one book that shows readers how to factor emotional intelligence into their hiring process.